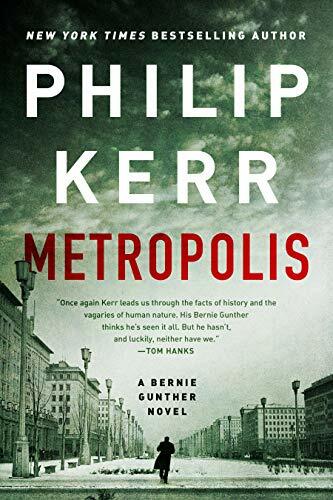 Metropolis is the 14th book in the critically acclaimed and award-winning Bernie Gunther series from the late Philip Kerr. However, this tale is more a prequel as it outlines the early years of a young Bernie as a detective in Berlin, unaware of the horrors that will await him in the coming days. It is 1928 and Berlin is a modern Babylon, bursting with artistic creativity as well as unprecedented sexual freedom, yet also witnessing of virulent anti-Semitism, anti-immigration, and anti-gay fervor, and street battles between political extremists on the right and the left. The Weimar Republic is nearing its end, and a monster called Hitler is about to make his appearance. But Bernie is being promoted at a perilous time. The city is in an uproar of grotesque killings, as well as a string of execution-style murders of veterans begging in the streets. Some Berliners thinks the murders are okay. It’s rough justice, nothing more than these disgraceful lawbreakers and social degenerates deserve. His first task is to investigate the Silesian Station killings—four young prostitutes murdered in as many weeks. All of them have been hit over the head with a hammer and then scalped with a sharp knife. Police believe there are two killers. One is nicknamed by the press Winnetou, after a character in a Karl May western. Taunting letters to the police signed Dr. Gnadenschuss give credence to the belief of a second serial killer who is targeting the many maimed WWI veterans who struggle to survive on the streets of Berlin. However, Bernie has a hunch that the two killers are the same. He believes his theory so much he volunteers to go undercover as a disabled veteran to try and catch the elusive killer. To pull off this complicated deception, Bernie enlists the help of a beautiful young make-up artist called Brigitte, who is working on the inaugural productions of the landmark musical The Threepenny Opera, which brilliantly evokes both the creative ferment and the decadence of the city around it. Brigitte, with whom Bernie soon begins an affair, has also worked for the UFA, the legendary film studio that has recently released Fritz Lang’s glorious silent film, Metropolis. Moreover, Bernie is helping Lang’s screenwriter wife, Thea von Harbou, to do research on Bernie’s criminal underworld. Meanwhile, the noted real-life painters George Grosz and Otto Dix ply their trade in the streets and the morgues, chronicling the carnage of society on the brink of chaos. Bernie must shift through a dizzying array of suspects. from the height of Berlin’s society to its depths. Along the way, he encounters everyone from street hustlers, the criminally insane, and gang bosses to famous actors, rich American party girls, and philandering government ministers. There are other cases he is handling as well, which may or may not have anything to do with the serial killings. Shockingly, a new theory begins to emerge in Bernie’s thoughts: the serial killer is a cop. But thinking it and proving it are two different animals. And even if it’s true and he can prove it, can he risk putting the already shaky reputation of the Berlin police department in further jeopardy, and his own position in the elite force? Philip Kerr once said of his great creation that “He’s sardonic, tough-talking, and cynical, but he does have a rough sense of humor and a rougher sense of right and wrong. Partly that's because he is a true Berliner.” Metropolis is Kerr’s and Bernie’s swan song—a brilliant Berlin opera of Gothhe proportion with an intricate and riveting plot. And just like Fritz Lang’s Metropolis, Philip Kerr’s Metropolis is a masterpiece.